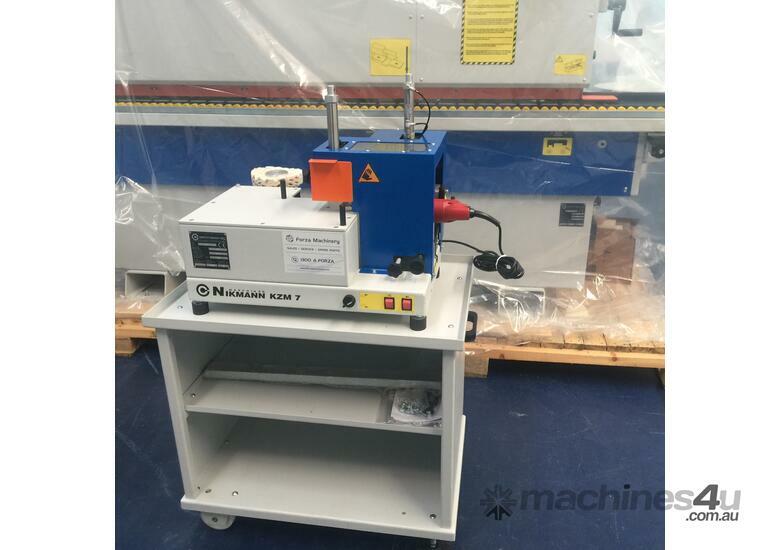 Heavy Duty hot melt, single sided semi-automatic edge banding machines. 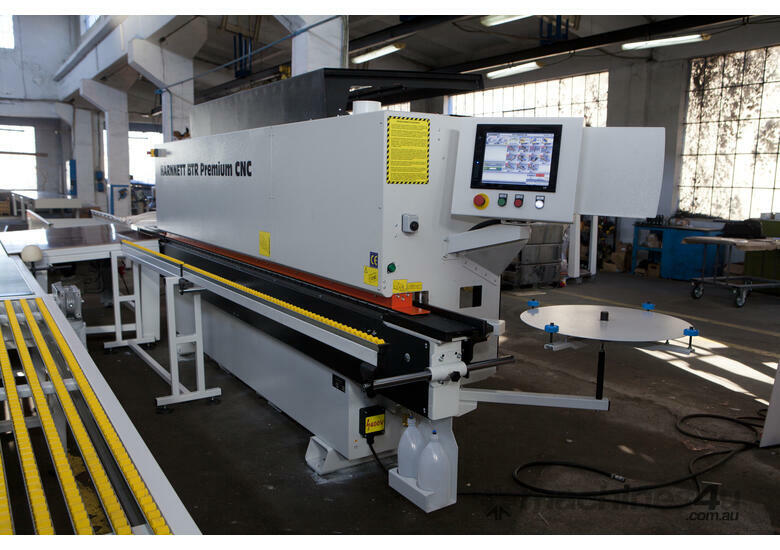 The edgebander is decisive for the high quality appearance of your furniture. 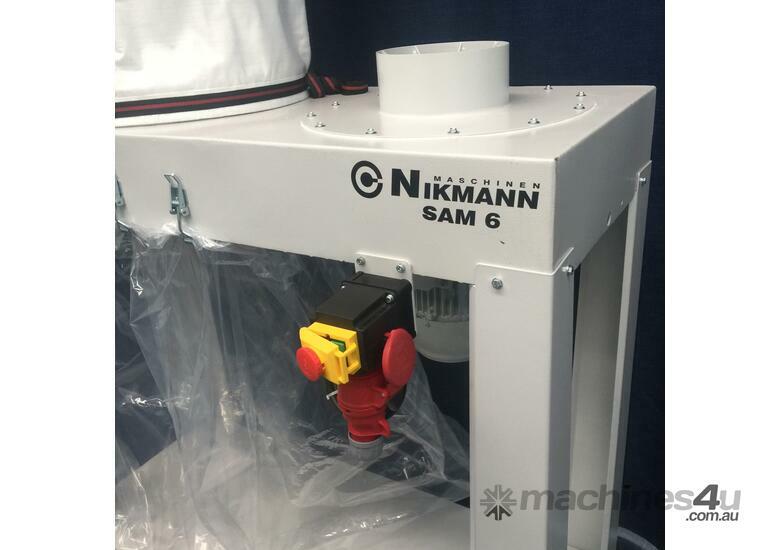 By concentrating on essentials, NikMann edgebanding machines combine compact design with maximum automation. 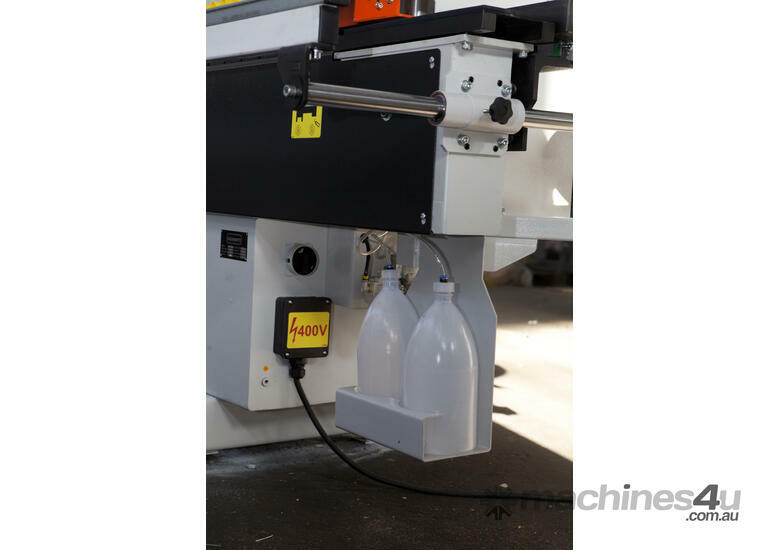 The heart of any machine is the glue application system. 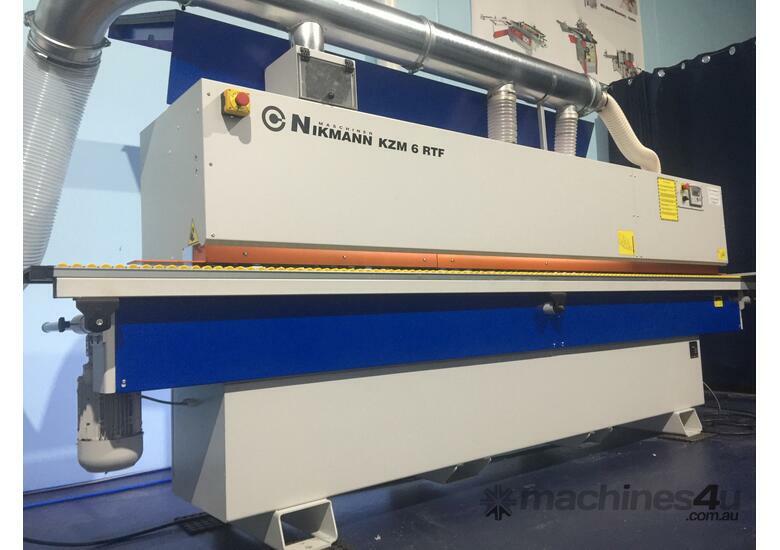 This is why NIKMANN always offers the perfect solution of every edge bander to ensure superior edge appearance. 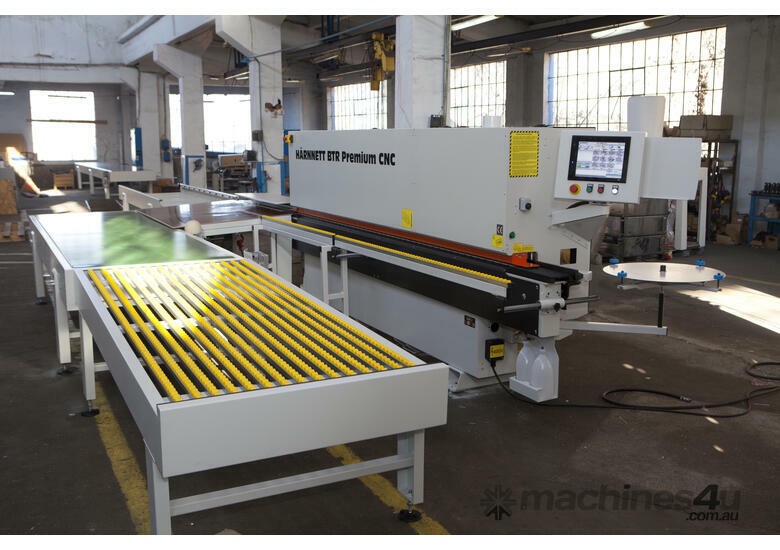 Continuous development work on every woodworking machine guarantees our customers maximum process reliability and maximizes their competitive ability. 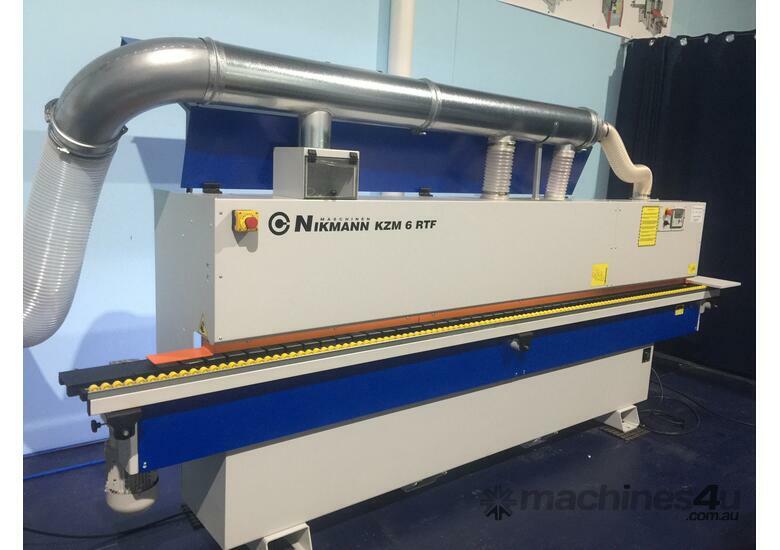 All edge banders from NikMann Machinery are equipped with a easy to change TEFLON GLUE TANK with electronic regulation of the glue temperature and automatic lowering the temperature of the glue at recess. 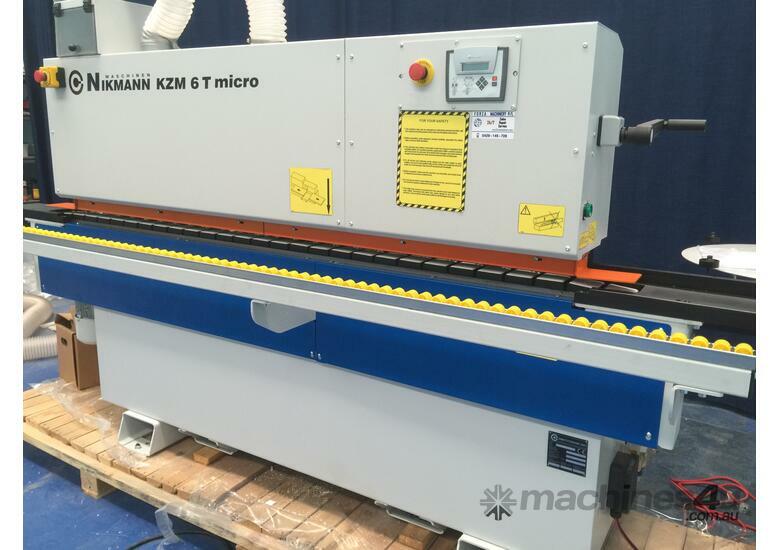 - The edgebanders are equipped with Heavy Duty Guillotine for preliminary cutting of thick PVC /ABS edges. 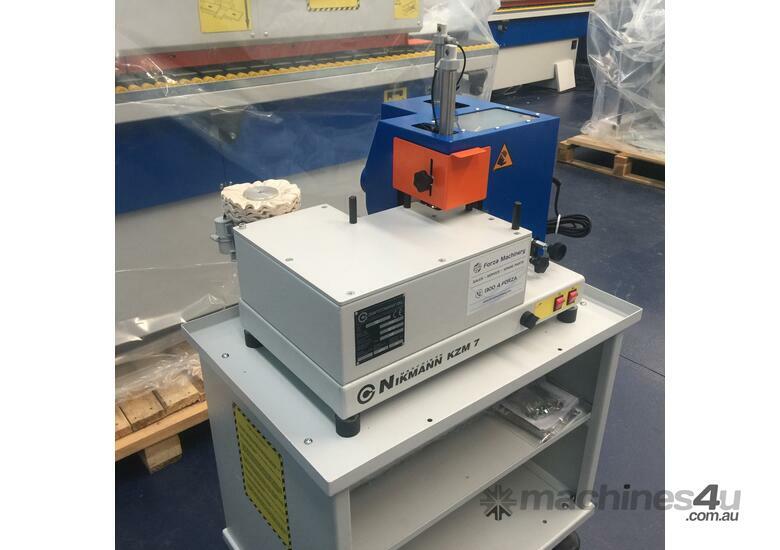 - Edgebander with 3 big positive pressure rollers. 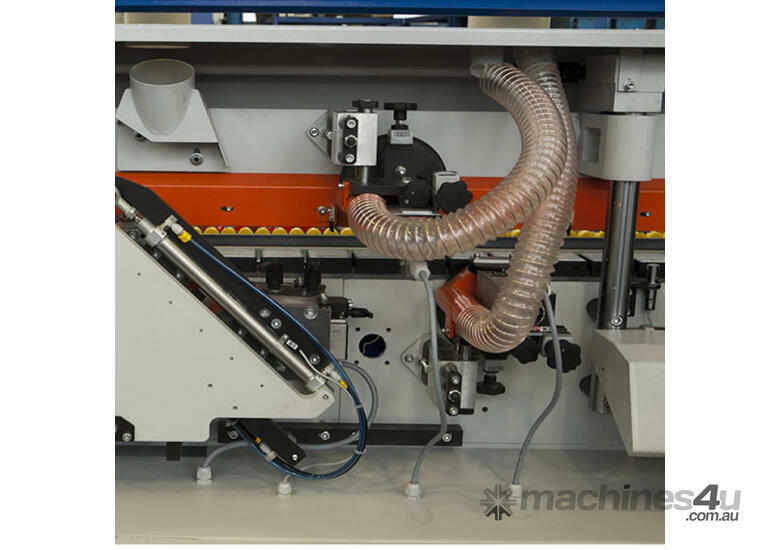 Pressing rollers with bearings. 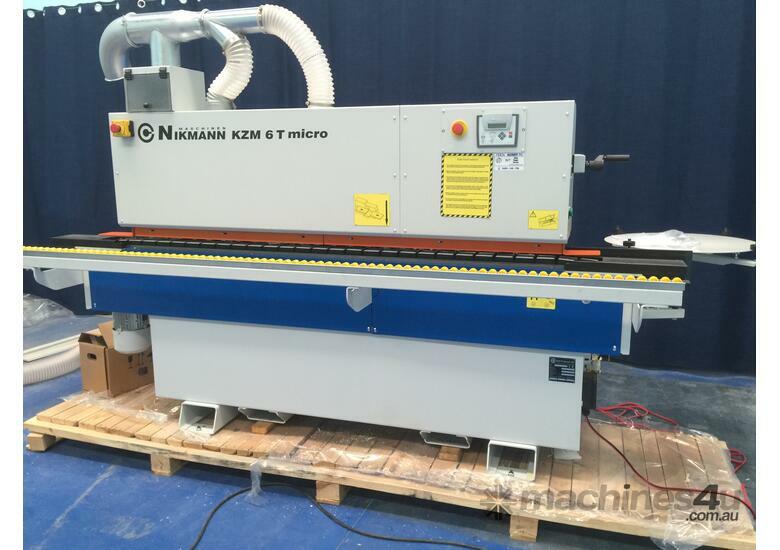 - 2x end saw units on NikMann edgebanding machines have two HF motors – 12000rpm. 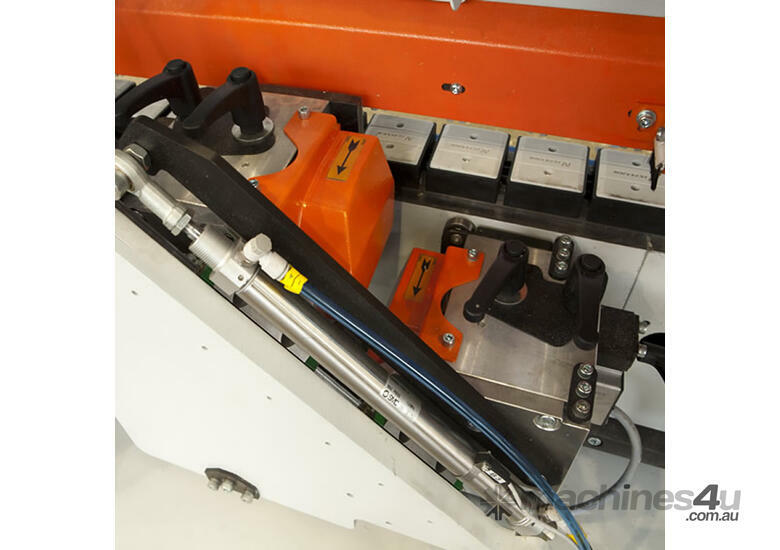 - Top and bottom fine trimmers with vertical and horizontal adjustment and hinge hole kit. 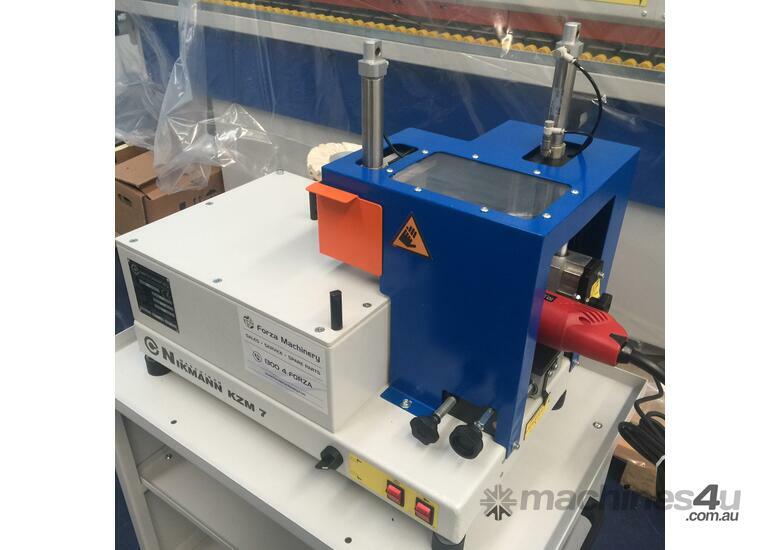 - Corner Rounding unit with one HF motor -200Hz, 12000rpm. 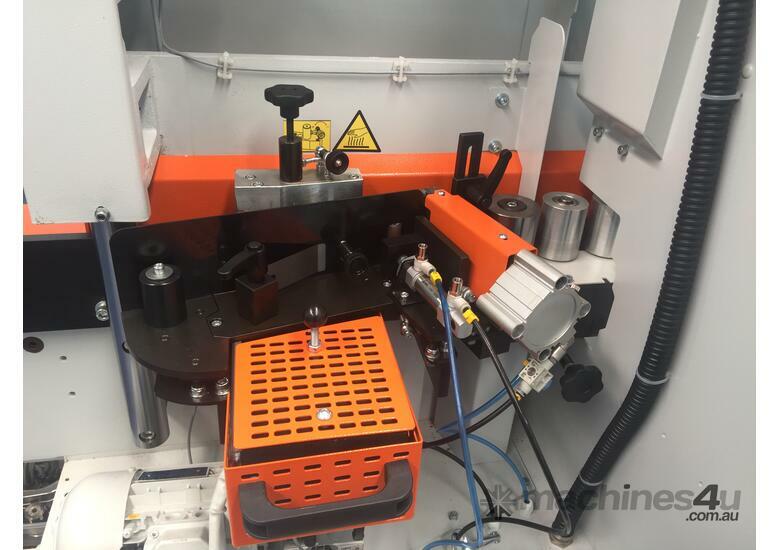 Diamond milling head - PCD CUTTER. 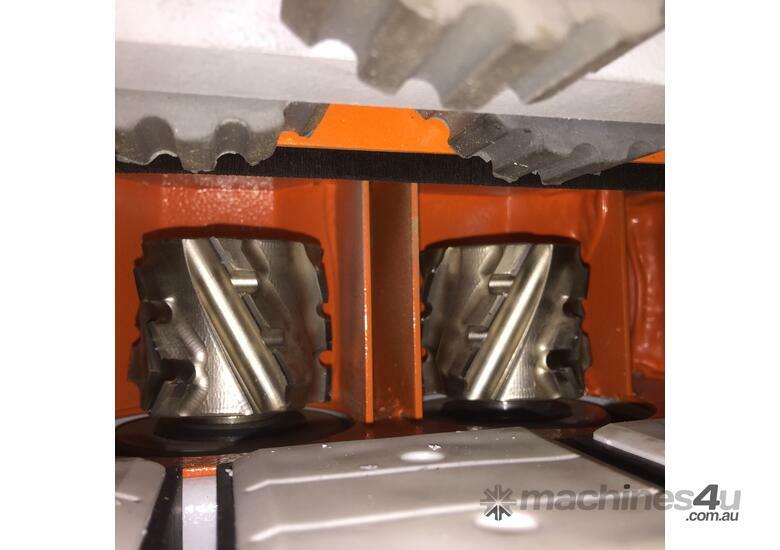 - 2 sets of Round Scraper with hinge hole kit too. 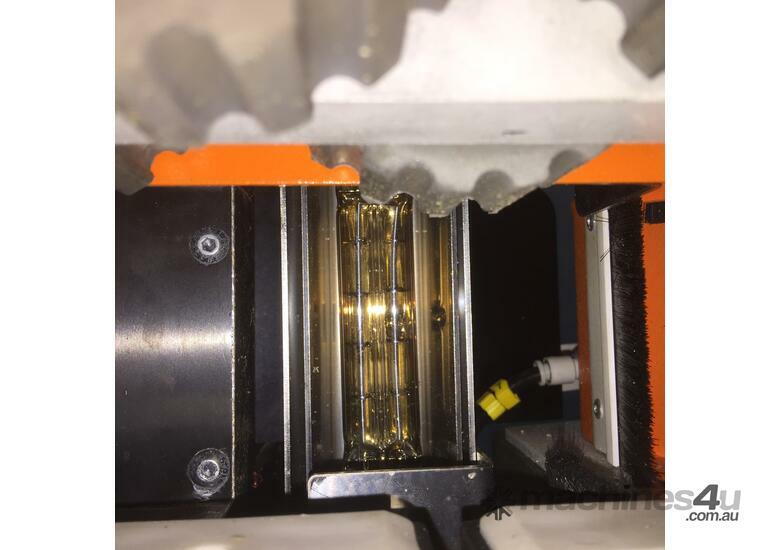 Supporting beam with rollers - immobile. 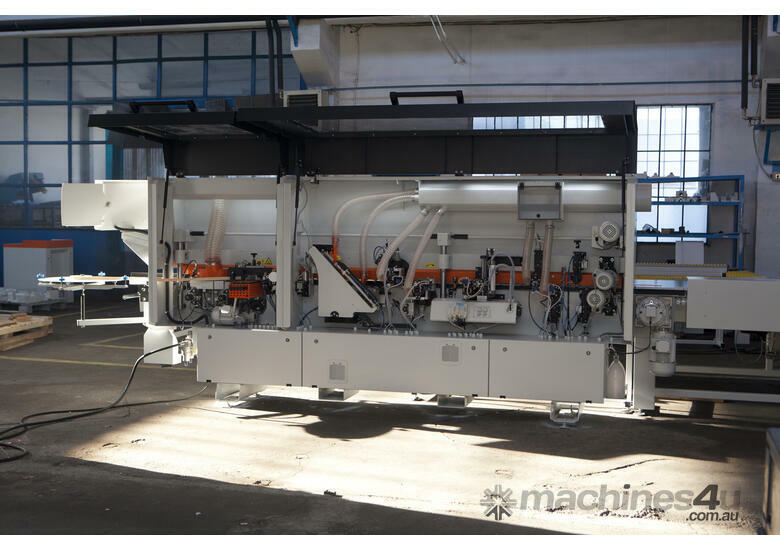 PLC Control panel at the front side of the machine. 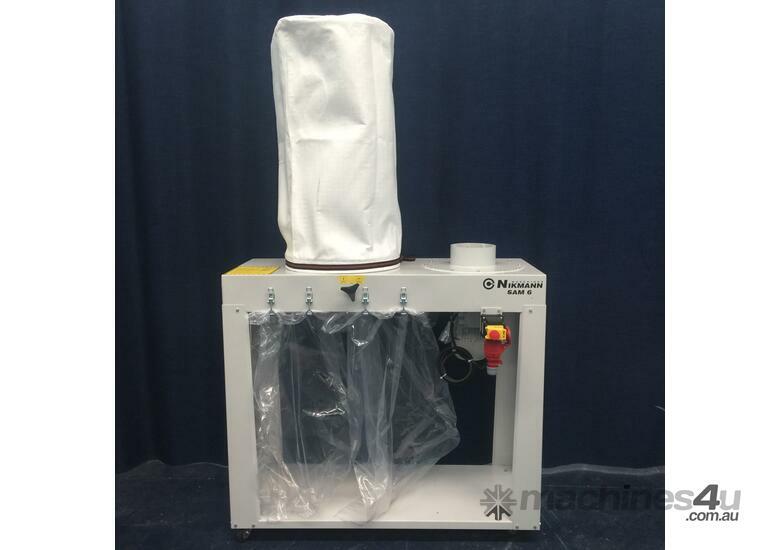 All machines are available for demo in our office in Pakenham. 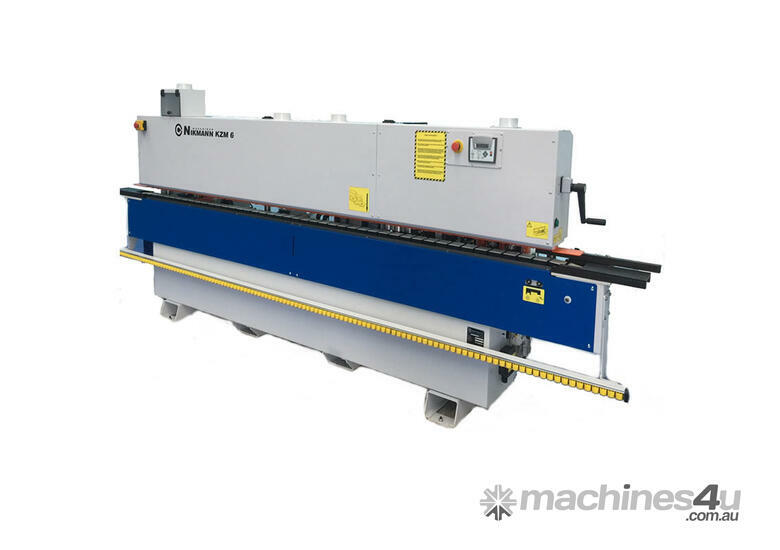 Optional - Extended warranty 24 months with affordable capped price servicing on brand new edgebanders every 3 months from Forza Machinery technician. 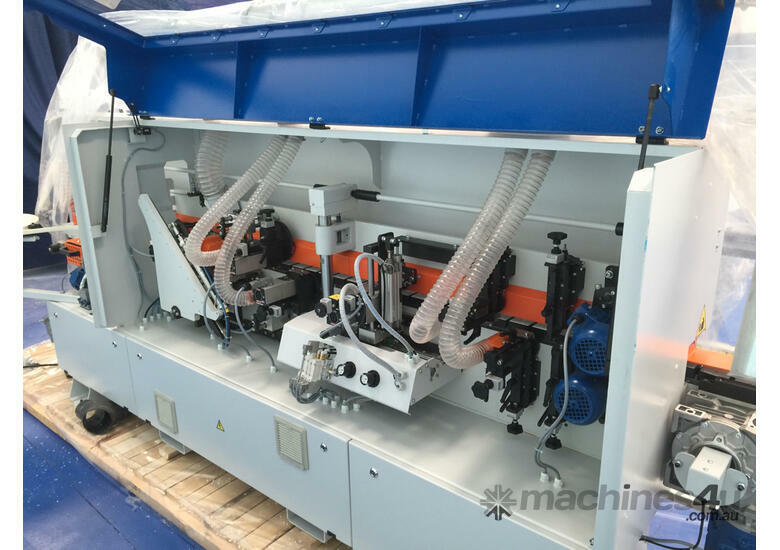 Forza Machinery specializing in woodworking machinery Service, Repair and Sales as we are backed by more than 40 years of experience in the woodworking machinery industry.